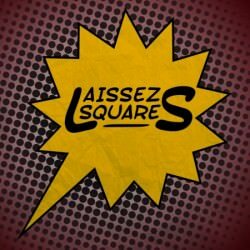 LaissezSquares Discussions Liberty.meStar Trek: Communist Utopia or Capitalist endgame? Welcome Nerds. This is a place for all of nerd-dom. I am talking about all nerd credentials; comic books, movies, gamers of all kinds, role players, book readers, Trekkies and geeks. We would love a group to discuss the liberty messages and leanings of all that is nerd. We can talk about everything from Cap 2 and its commentary on the police state to Bioshock with its (albeit biased) discussion of a liberty utopia, or possibly Game of Thrones and why Littlefinger is the Frank Underwood of Westeros. We can talk about how 3D printing makes things like IP and gun control outdated topics or why bitcoin will take over the world. We could even talk about the EVE online economy as an anarchist paradise and how the most popular virtual currency in the world with exchange rates, banks, and lenders is World of Warcraft gold. This is going to be freaking sweet! Star Trek: Communist Utopia or Capitalist endgame? At first glance, it seems Star Trek is some fantastical Socialist utopia. Could it be that it is in a post scarcity society? Can one exist? I just received all 176 episodes of Star Trek the Next Generation from Amazon last week because I have seen less than half of them but remember really enjoying them on TV as a young man. Anyway Neo is 12 now so we are chugging through the episodes and he loves it. In the first 8 or 10 I have only found one that was truly offensive, when they introduce the Ferengi. http://en.wikipedia.org/wiki/Ferengi They compare them to American Traders and imply that there is something wrong with the word ‘profit’. Watch the series Star Trek: Deep Space 9. One of the main characters is a Ferengi and there are quite a few episodes that have a more realistic examination of economics. Deep Space 9 tends to show how some of the Star Trek ideas are actually carried out in the federation and other planetary powers. For example, in one episode of Deep Space 9, Nog (a young Ferengi who is the nephew of the local barkeep) helps the stations engineer to acquire some needed parts by systematically trading goods/services to various people. Nog describes this as following the “Great Material Continuum”, which is essentially the Ferengi’s religion and metaphor for the free market. The Ferengi were originally supposed to be villains, but in Deep Space 9 they were fleshed out into a species that was used to show some realistic downsides to the federation’s economic ideals. One thing I’ve noticed in the star trek series is that there appears to be no form of civilian government what so ever, it’s all military. The Federation could be a national socialist society, which would explain their distaste for Ferengi capitalism. It’s my belief that the Federation in Star Trek is a largely minarchist society with its government being largely inconsequential at home – indeed the individual planets and colonies appear to lack any governing institutions of their own at all. I am fairly sure that Gene Roddenberry himself was a socialist and utterly disdained capitalism. Nevetheless, the kind of semi-post-scarcity society that people in the Federation live in is a conceivable consequence of centuries of free-market capitalism, since eventually the march of productivity improvements would bring costs and prices down to or near zero, thus making holidays around the Sol System and beyond within everybody’s reach. TOS/TAS appears to be a more militaristic society, with changes occurring in TMP era. TNG appears to be a post-scarcity society more than anything else, the sort of thing that might occur on the other side of a technological singularity. Some DS9 episodes show the shortcomings of getting rid of capitalism even with such high levels of technology. These changes can be partly explained by Gene Roddenberry’s declining involvement after the failure of Star Trek I in 1979, as well as his death in 1991. That was one thing I loved about DS9. There were quite a few episodes that showed how the economic system of the Ferengi worked a bit better than the Federation. It’s really good. They discuss the issue of scarcity and the effects of technology on the society. Yeah, thank you for that. It was actually me on the other end of that interview. Antony Davies is a freaking bamf. It was a fun and informative romp into Star Trek and it’s “post Scarcity” economy.